Kitchen design is both challenging and fun. 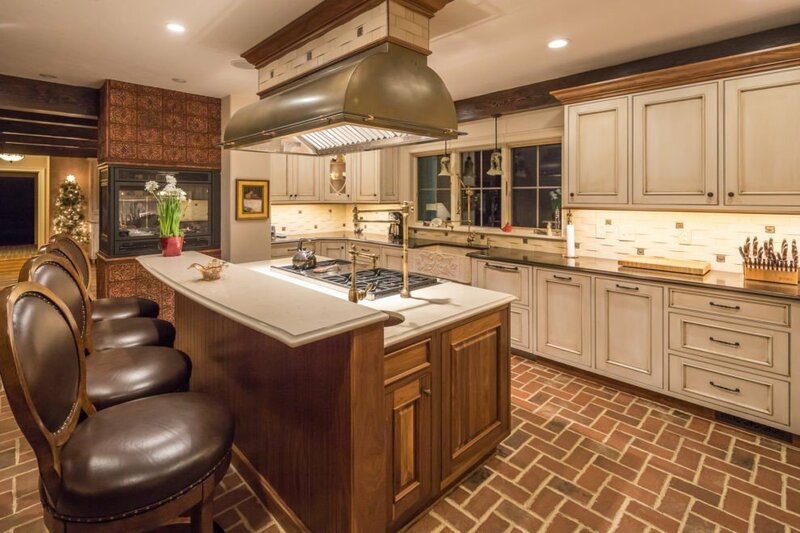 Regardless of a home’s style, the elements of good kitchen design remain constant. 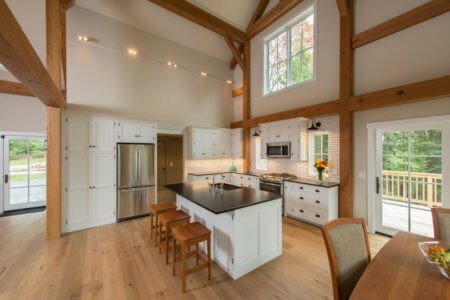 Here is a list of suggestions to consider as you plan your new Yankee Barn home kitchen. 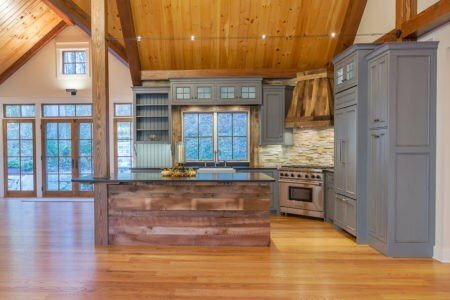 What Makes a Kitchen Design Great? Today’s kitchen is the hub of the home, whether we are a family of many or a single person entertaining family and friends. The kitchen is a space that needs to function efficiently and effectively. 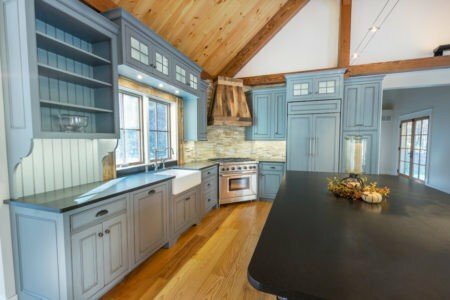 How do you assure your new kitchen will provide both? Yankee Barn has designed thousands of kitchens. 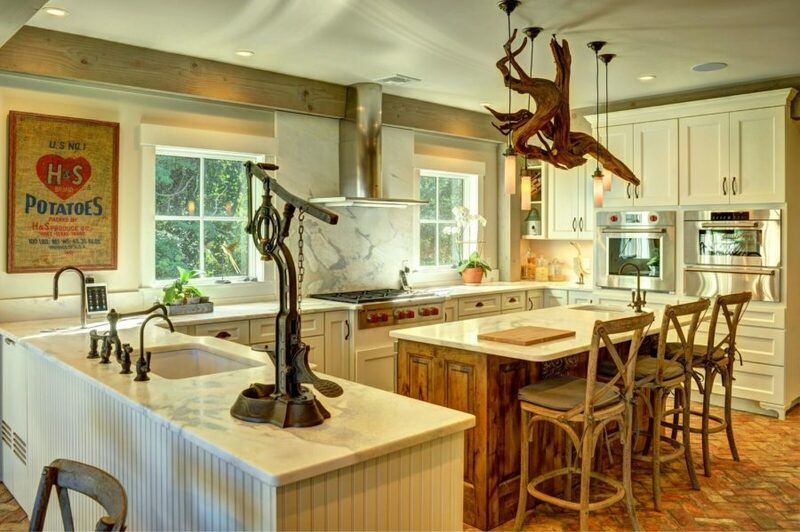 These are three design principles that will provide a kitchen you will love for years to come. An Open Layout: First on the list is the need for open space. While you don’t want to be running a quarter-mile to get from appliance to appliance, you do need space, both horizontally and vertically. 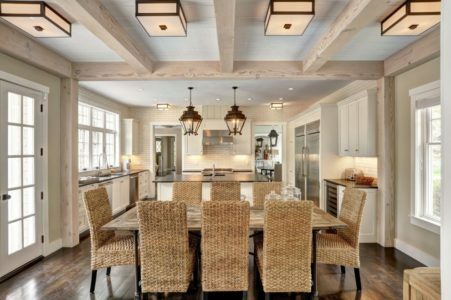 The need for horizontal space is self-evident; the vertical space may not be as obvious. Vertical space creates the illusion of volume without using precious square footage. 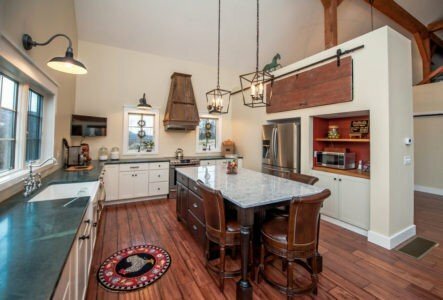 This is why most YBH kitchens utilize vaulted or higher-than-average ceiling heights. High ceilings allow for storage space to extend upward. A Large Amount of Cupboard/Storage Space: “I have too much storage space,” said no one, ever. In today’s kitchen, we have slicers and dicers, Ninjas and juicers. Coffee machines vie for space with the popcorn maker and the Kitchen Aid mixer. Not to mention a complete set of Le Creuset cookware, the Instant Pot, and your daily use items. Do not even get me started on the space needed for spices. 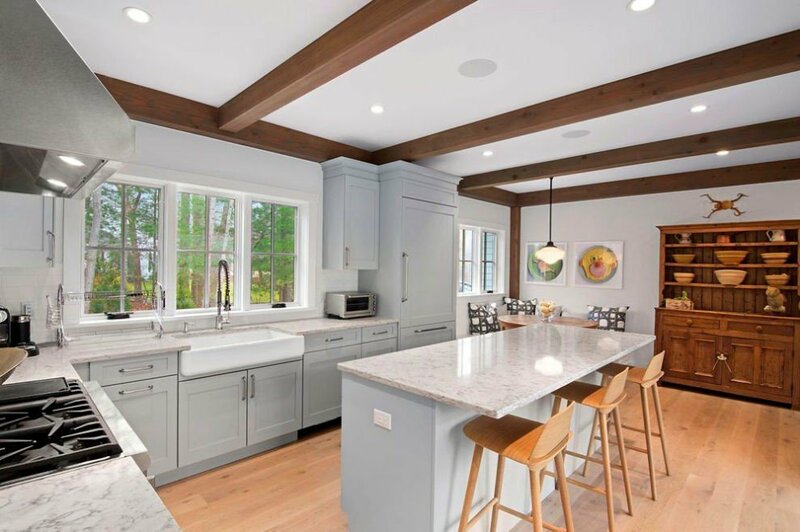 Make certain your new kitchen has ample built-in cupboards and storage areas, i.e., freestanding cabinet(s), a pantry, and/or a large center island. An Expanse of Counter Space: Food prep takes space and there is nothing worse than not having it while cooking (we’ve all been there). 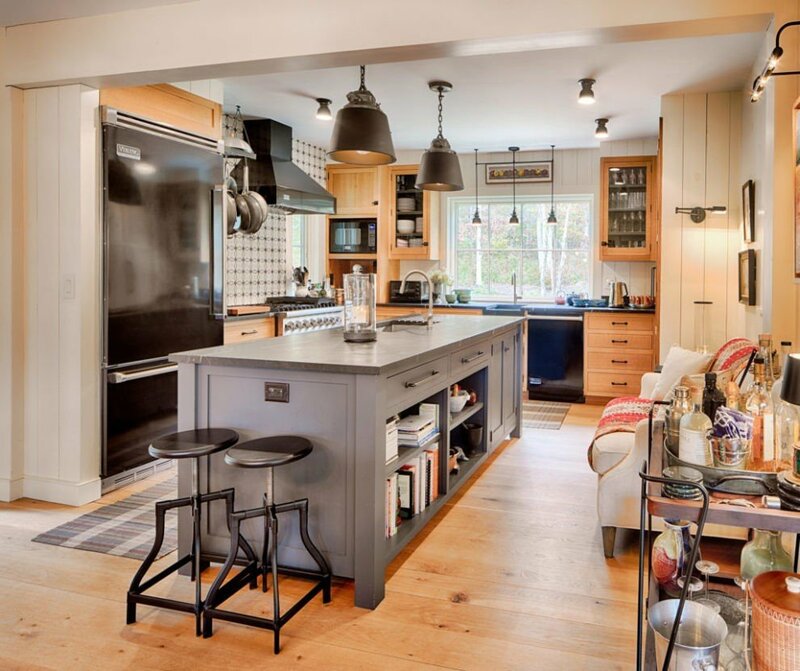 Plan for more counter space than you think you will need. I guarantee you will use it. This is where the large center island comes in. 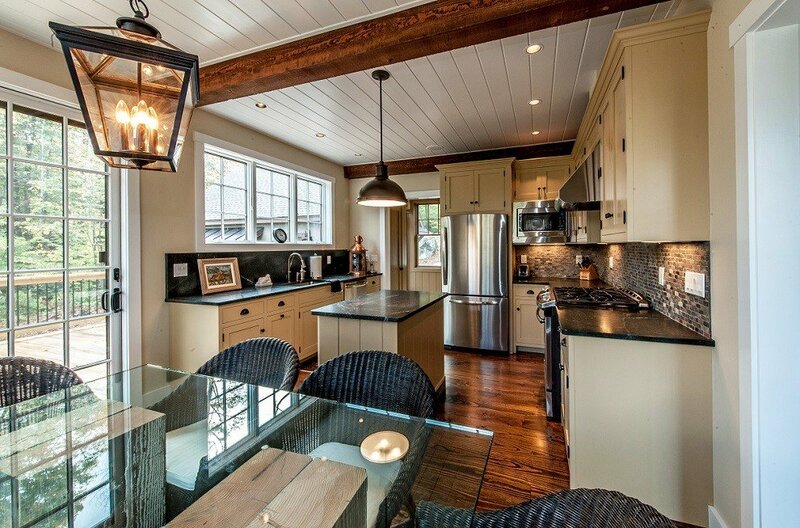 Plan for a good-size kitchen island and don’t skimp on it. It can house a wealth of storage space along with a sink, stove, dishwasher or wine cooler. It also provides an informal eating area and/or space for people to gather. Above all else, enjoy the process. Your new Yankee Barn kitchen should be everything you want and have everything you need. 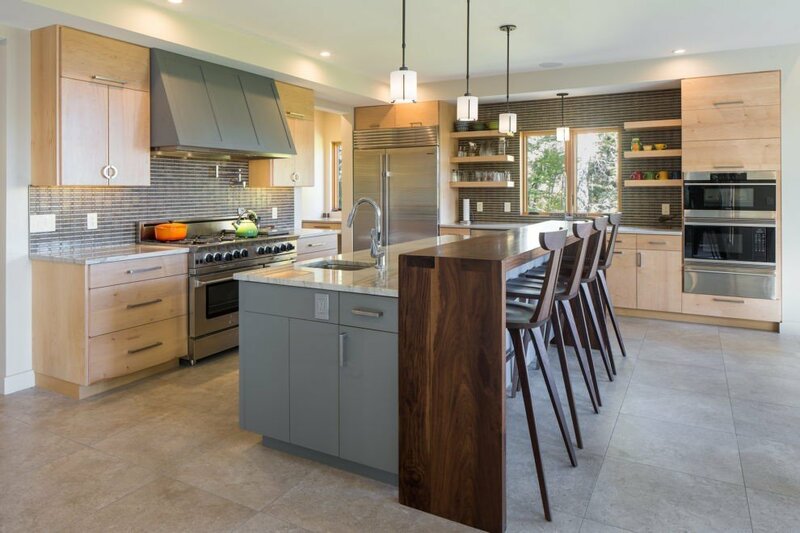 Stick with these three kitchen design principles and you won’t go wrong. 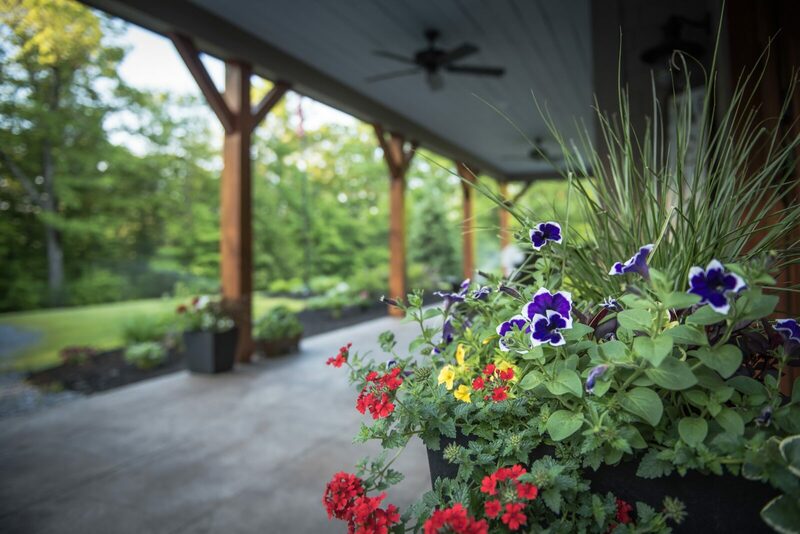 Post and Beam Living recently sat down with Kerri Terwilliger, Design Project Manager at Yankee Barn Homes, to discuss what drives cost when building a Yankee Barn.